New to Kombucha? I’ve got you covered! Check out this article on how to make kombucha to get started. After I made my first batch of kombucha, I was surprised to find my scoby had turned into two scobies! I have a friend who makes her own kombucha, so I texted her to ask why did I have two, and what was I supposed to do with two scobies! She assured me it was normal for my scoby to make an offspring, and walked me through the process of how to make a scoby hotel. Scoby is an acronym for symbiotic culture of bacteria and yeast. It is a living home where bacteria and yeast naturally forms. The scoby will float to the top of the container where your kombucha is, creating a barrier from the air and other undesirable bacteria during the fermentation process. 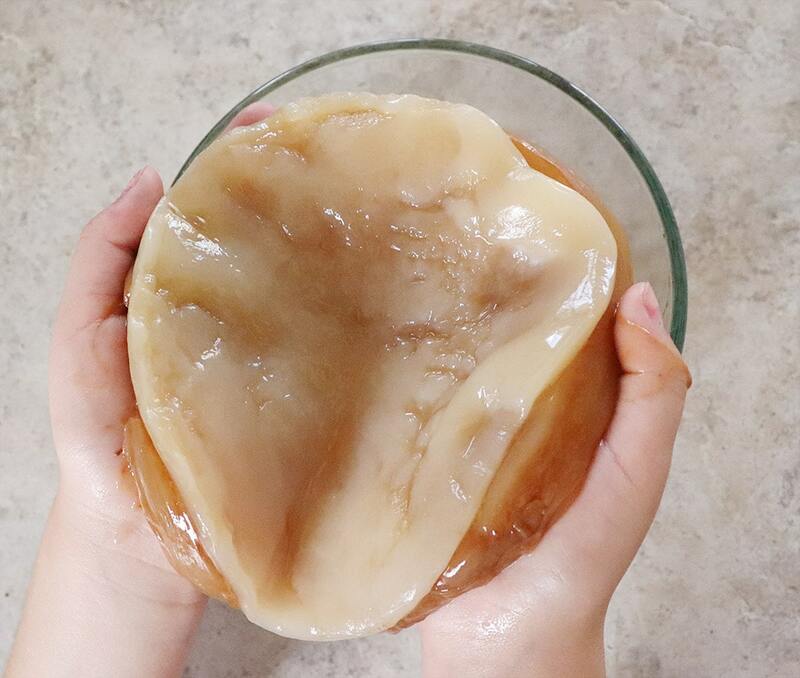 A scoby is necessary to making your own kombucha at home. Get it from a friend – as indicated above, during each batch of kombucha, your scoby will grow a new scoby, so if you have any friends who make kombucha, they likely have a scoby (or ten) to spare. A scoby hotel is a place that houses your scobies, keeping them fresh, until you’re ready to use them or give them away. 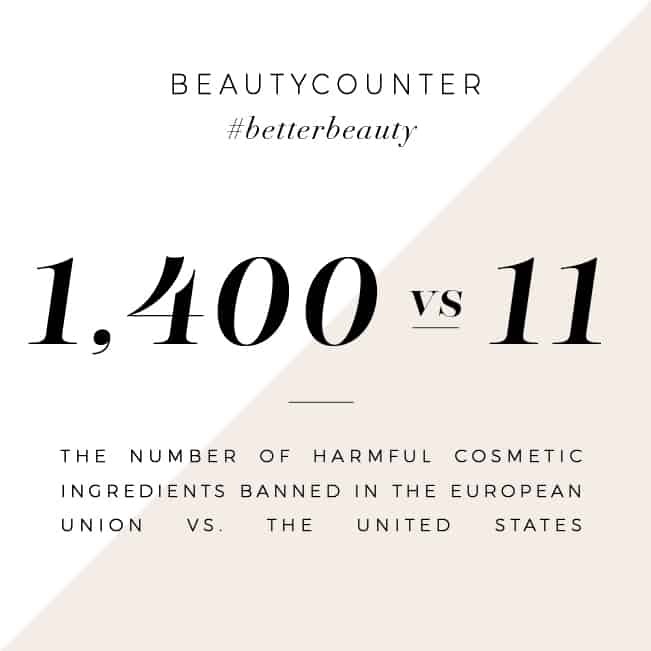 Step 1: Get a clean, large, glass container. I use a seven-cup Pyrex glass container, which can hold about 4 – 5 scobies at a time. 1/2 gallon glass jars are also a great options, holding about 12 scobies. You can also re-purpose any jar you have, such as a large recycled pickle jar. Place all of your scobies in the glass jar. To the scoby hotel, add 1 part finished kombucha and 3 parts freshly prepared sweet tea. Add enough liquid to cover all of the scobies. To make the freshly prepared sweet tea, boil 3 cups of water, remove from heat, and add 1/2 cup sugar, stirring until dissolved. While it’s still hot, steep 4 tea bags for 10 minutes and allow it to cool completely before adding it to the scoby hotel. Place a clean cloth or two coffee filters on your scoby hotel and secure with a rubber band. Place in the pantry, or another dry and warm place for two weeks. Discard kombucha in the scoby hotel every couple weeks and replace with 1 part finished kombucha and 3 parts freshly prepared sweet tea. And that’s about it! Now you know how to make a scoby hotel. Want to print this recipe off to hang on your fridge, or to share with a friend? Here’ s a printable recipe for you! Add scobies to a clean, glass container. Add in 1 cup prepared kombucha and 3 cups freshly prepared sweet tea (room temperature). Cover container with two coffee filters and secure with a rubber band. Place in a dark, warm, and dry place (such as a pantry) and store until ready to use scobies. Replace liquid with fresh kombucha and tea every two weeks. 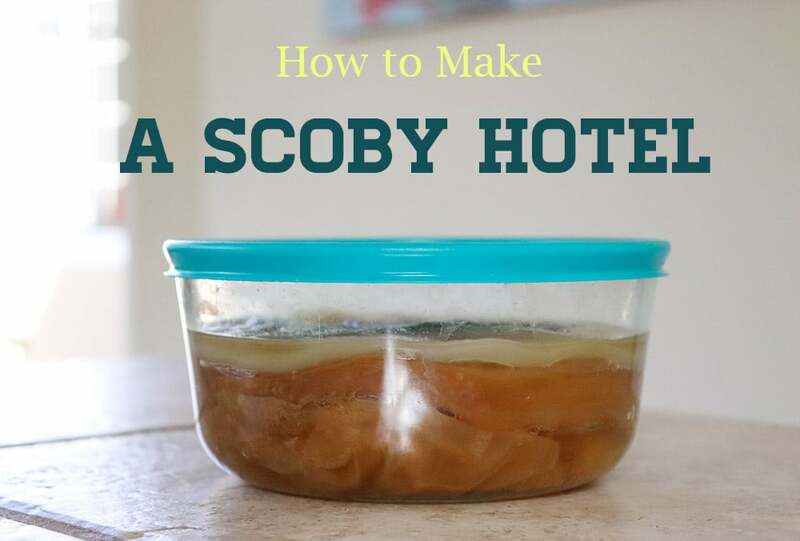 Want to save this post to Pinterest, so you can pull it up any time you need instructions on how to make a scoby hotel? Just click the image below to repin it to your favorite fermentation board! 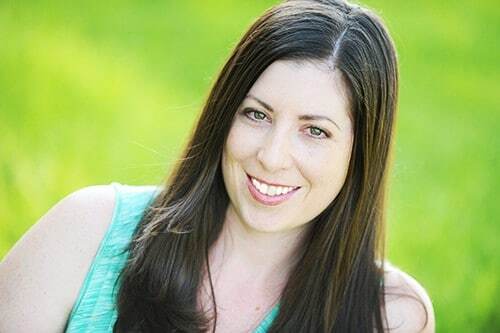 Want to learn more about Kombucha? Try these! Do you have a scoby hotel? What container do you use to store your scobies? What happens if you put your SCOBY in a sealed container? I am moving across the country and don’t want it to spill or spoil. Can it live vacuum packed or in a jar with some space in it for 4 or 5 days if it has some liquid? Thank you for this! I have a friend that gave me a scoby and now it is growing! I am loving the Kombucha. I am going to set up my scoby hotel tonight 🙂 Have a great week! Kombucha is a lot of fun, isn’t it? Good luck with your scoby hotel!